Why Can’t Patients See the Difference Between a Prophy and Periodontal Maintenance? If you want less resistance and more patient acceptance when presenting periodontal services, than this might be the most important article you read all year. 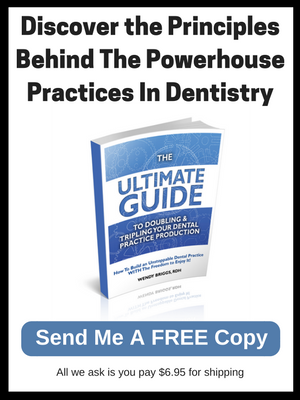 Below, I will walk you through my 3 step process for presenting Periodontal services in a way that has patients thanking you as opposed to running out the door thinking all you are doing is scamming them! The reason that patients don’t understand the difference is because we have never focused our attention on what we need to do to help them differentiate the two services. Patients don’t understand dentistry. They think that all they need to do is come in for a simple cleaning and maybe have a cavity filled once or twice in their life – above that, they think that everything else is just a money-making scam to pay for the Dentists new car or summer lake house. How Can We Help Them See The Difference? At one time, there was a huge push for lengthy time spent on patient education in dentistry and when that didn’t work everyone pulled back. Education works, but educating patients about technical and clinical terms won’t work. We have to educate them in terms that they can and will understand. It all starts with a deeper understanding and better education of what is happening with periodontal disease (as it relates to them) and explaining that there is now a need for a constant reduction of the bacterial load that exists in the mouth. They have to SEE that something has changed in their mouth. 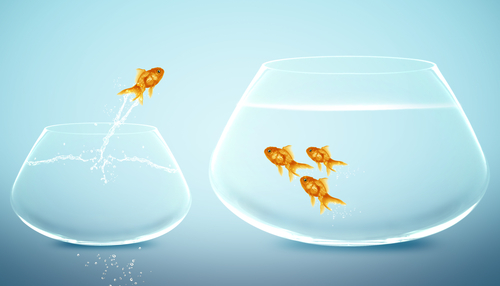 If they don’t see a difference, then they won’t see a need to change from their bi-annual cleanings. Most patients have no clue that Periodontal disease is an ongoing battle. It is our job to help them see this as a change in their health status just like diabetes requires changes in their diet and healthcare regimen, periodontal disease requires changes in their dental healthcare regimen. Not only in our office but also with home care products. “I hate to use the words deep or aggressive because people tend to think that it will be painful, but we have state of the art equipment and advanced training so that we can provide this for you as comfortably as possible.” Again, I am differentiating this cleaning as more than their normal cleaning, but then assuring them that just because it is more it will not cause any more discomfort. That is step 1. “I am going to need to see you back more often. Once you have periodontal infection, it is important that we remove the bacterial load more frequently than you may be used to.” I have set the expectation that they will need to come in more than they were used to and provided an explanation as to why they need to come in more than usual. I continue with an analogy to help them see that they have been diagnosed with an infection that doesn’t just go way. “Periodontal disease is not like a broken bone where you treat it once and it’s fixed, it’s a chronic disease like diabetes and arthritis and has flare-ups from time to time, so we will work together to keep this under control. This is why I need to see you more often.” We can’t just mandate, we need to provide the reason why – the what’s-in-it-for-me as a patient – how will this benefit me. This is the education that creates the importance in their minds. Once our patients see their periodontal disease at the urgent level we do, they will be much more compliant with home care and accepting of our treatment plan. “We need to get you better tools to help you keep the bacteria under control from day to day.” [Then I share all the tools such as prescription strength mouthwash, power brushes, any and all necessary aids] all of these are resources that I share as I put together the ideal plan for each patient. If you have successfully expressed step #1 and #2 to your patient, step #3 will come very naturally and many will be asking you what they can do to fight this disease before you even make it to step #3. To do this, you want to differentiate every step that we do that is different in layman’s terms – In states where it is legal, I like to use the soft tissue laser. But everyone can talk to the patient – why are we using the power scalers? What is the science behind this process and why is it important that we use those consistently when doing a perio maintenance? This is what patients need to know. The most important thing we can do, as hygiene providers is to educate – share with the patients what you are doing, why you are doing it, why this is important, and build value for the services we do all the way throughout the appointment. That is how patients are going to understand the need for periodontal maintenance services and why they are very different than the prophy service. I created a periodontal brochure that I use with all my patients and our clients are using with their patients. At each visit I am able to document where we are at in fighting their infection, continue to educate them on the disease, and recommend home care products and aids. I created a Periodontal Brochure that I use with all my patients and our clients are using with their patients. At each visit, I am able to document the date and where their health currently stands. A copy of this goes home with the patient, and we have fully documented everything in the patients record as well. 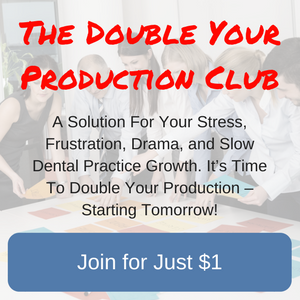 Wendy Briggs is the author of "The Ultimate Guide to Doubling & Tripling Dental Practice Production" and "The Business of Dental Hygiene." A registered Dental Hygienist with more than 25+ years of experience. For the last 15 years she has taken her unique skills in doubling hygiene production directly to the practices. She has consulted with more than 3,718 dental practices in 12 countries. Hygiene is her passion ... and exploding hygiene productivity, case acceptance, and profits are her areas of expertise. 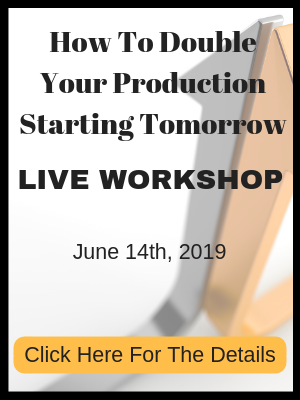 Get a free copy of her book to double your production - the right way!